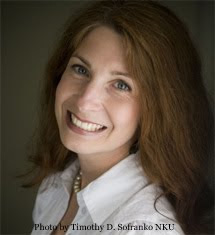 Renee Vincent is a talented up-and-coming author with a fabulous release happening August 16. An author to watch, her books sweep you back in time and put you smack in the middle of her character's lives--so much so that you mourn them after you are finished reading the book. Today, I introduce you to Renee Vincent. MJ: Renee, it’s so great to have you here on examiner! You have some news to share about your new release. Details! Renee: Yes, I am still on cloud nine! Signing a 3-book deal with Turquoise Morning Press has been an amazing turn of events in my life, and I must admit I’m actually waiting to suddenly wake up from this incredible dream. I signed this contract in front of everyone who attended the Career Writer’s Network Workshop in French Lick, Indiana at the West Baden hotel, and being there made my very first signing even more special. It is a day I will never forget. 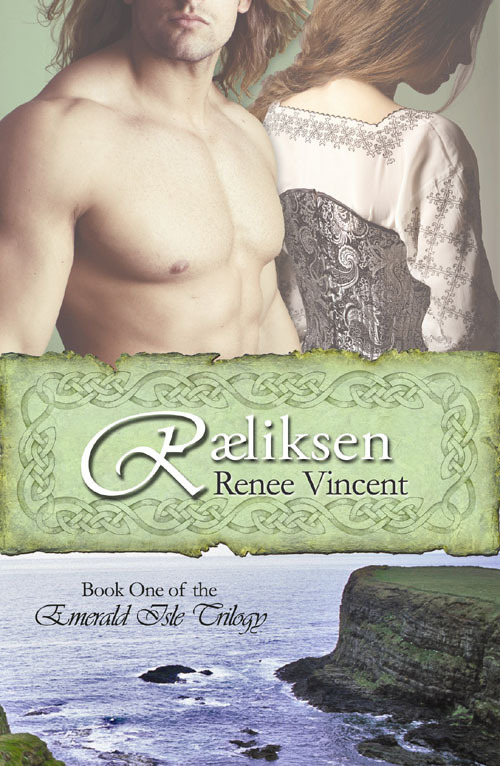 The first book in the Emerald Isle Trilogy is Ræliksen, an epic historical fiction novel (as I like to refer to it as) with Strong Romantic Elements. It’s about a Norse warrior, Dægan Ræliksen, who falls in love with an Irish maiden named Mara. He struggles to both prove his honorable intentions to her father, the King of Connacht and protect her from another group of Viking men determined to wreak havoc across Ireland’s countryside. As most Irishmen see him only as the pagan barbarian, Mara comes to witness a different side of Dægan, and cannot help but be charmed by his selfless acts of heroism and bold aggression. However, she knows her father would just as soon kill Dægan as to look at him, much less think an alliance could be possible with the man. While Ræliksen chronicles the trials of the Norse hero, Mac Liam, the second book in the series, offers the side of the Irish hero, who coincidently is in love with Mara too. The third book of the series, still untitled at this moment, will bring about a whole new twist on the matter of love ever after. I am very excited to have this opportunity of sharing this saga, which has lived and breathed in me for so long, through Turquoise Morning Press. *MJ Note: Here is an excerpt for Ræliksen from the Turquoise Morning Press web site! 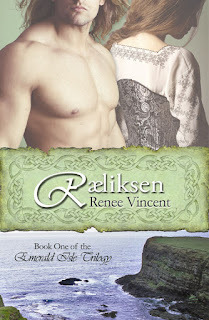 MJ: Renee, having read Ræliksen I can personally vouch for how wonderful this book is. It's one of those books that lingers in your mind for a long time after you have read it. Wonderful prose and the dialog is definitely Irish! Renee: As a whole, a pantzer. I cannot outline a story (believe me, I’ve tried) because it would change from week to week, and I’d spend more time rewriting the outline than the manuscript itself. But before I write on a chapter, I plot it out in my head first over a cup of coffee. I often go outside to my lake (weather permitting), and go over dialogue, sequence, and character building. Don’t ask me why…I just find that it works for me. Once I have that down, I spend the rest of the day writing it—although, sometimes the direction I plotted that morning has been know to change on the fly. But I don’t mind. I’m a very flexible person. And if it helps the story, I welcome it. MJ: Okay, I'll raise my hand. Pantzer here, too, so I can relate. What drives your story, your characters or the plot? Renee: In Ræliksen, I’d like to say my characters because I think I have some very interesting individuals; an amazing Alpha Male hero (can you tell I am in love with him? ), a strong-willed heroine, her pompous father, and a Beta Male hero who seems to add tension to the already-there conflict. But in all honestly, my plots are quite deep. There is no such thing as a simple, watered-down plot when it comes to this Trilogy. There are twists and turns, and revelations you won’t see coming until they hit you square in the face. So I suppose, it would be more plot driven. 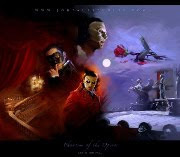 MJ: Do you have a writer’s cave? Can we see a picture? MJ: Oh, hot totally cool! I knew you were a Gerard Butler fan, which is obvious from your blog! I wanted to ask you, too, about advice for writers. You've plunged into this writing world full speed ahead. What advice do you have for aspiring writers? Renee: Dream big. But keep your goals attainable. Success doesn’t happen overnight, but with each attainable goal accomplished, it’s a step closer to the distant dream far out of reach. Eventually, you will arrive there. And when you do, you can look back at all the hard work and feel an incredible sense of pride that you didn’t give up. Renee: First and foremost, I am working to finish Mac Liam as it will be released the first week in December 2010. After that, I want to work on this contemporary novella that’s been flittering about in my head. I’m excited about it because it’s not going to be deep like my Trilogy—an immense relief when it comes to research. But like the series, it will have a twist in the conflict. Renee: Well, this year Dægan Ræliksen had his first interview with Author Anya Davis and I have to say, it was so much fun giving him the stage. Everyone seemed to enjoy him as he has gained quite a following in the past year. But this time, I think Breandán Mac Liam would like the opportunity to speak his mind. He’s been in love with Mara for many years but never really had the chance to show how he feels. Like the true gentleman, he had walked away in Ræliksen, never wanting to put himself between Dægan and Mara. But now in Mac Liam (seven years later) an unforeseen circumstance has brought him back to her, and Breandán can’t help but feel he belongs with her. I know he’d like to finally say his peace. MJ: Just for fun, here is a totally wacky question. What’s the most risk-taking thing you’ve ever-in-your-life done? I was horseback riding on a couple’s ride in Tennessee and we came to a place on the trail where we had to climb up about 3-foot high rock steps. Now to make this the most risk-taking thing I’ve ever done, the trail (if you could call it that) was only about 4-foot wide—with a high rock cliff to the left of us, and a sheer drop-off to the right. No room for mistakes. At this point, it was either turn around or trust your horse to climb it. I chose, among many others to let my horse try. Some had gotten off their horses and led them up on foot. I, however, trusted my horse completely and gave him full-reign. It was a bit nerve racking, but I never doubted my horse’s abilities or his common sense. I made it all the way to the top. It was such a rush! I am ready to go back and do it again, and knowing my horse’s disposition, I would venture to say Lucky is ready as well! MJ: OMG! I am an amateur rider and once did a trail ride in the Rockies, which scared the bejeebers out of me! I cannot fathom doing what you did. So glad both you and your horse was smart! For more info: Renee is all over the web! A believer in social media marketing, she consistently maintains a relationship with her readers and would love to connect with you. Please visit her web site for more information. You can also find her network at any of these other sites! Great interview! I enjoyed meeting Renee at the March KYRW event. And I love Gerard Butler almost as much as she does! Looking forward to hearing much more from her! Renee is a gem! And her book is awesome. Thanks so much for stopping by, Amy. It's good to "see" you! Great interview ladies. I love your writer's cave. I hope it will help you spin of many more great works!!! Good Luck on the 17th It is fianlly here!! Thank you Amy, it was so great to meet you too! We HAVE to do that again sometime! Thanks, Maddie...you compliments are too much! 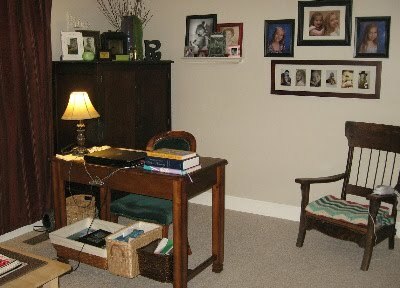 Logan, I love my writer's cave....and in the winter, my husband is putting in a rock fireplace! It will be so grand! Great interview Maddie. Thanks for having Renee on your blog. Renee, this might be a stupid question but when you write do you use the computer or paper? I guess I ask because I'm such a terrible typist. I really need to get on the Emerald Isle Trilogy train. Absolutely enjoyed the interview! Renee, your office is way too neat. You must be one well organized woman. Your book is on my TBR shelf. Now that I am making some progress in getting my house straightened (very little progress, but I'll take what I can get), I am getting more time to read. Enjoy your fireplace this winter. Should add great atmosphere to your writing. Great interview!! Renee is so talented. Viking Princess: So sorry I didn't respond to you right away...time got away from me. And yes I ALWAYS use a computer - nothing else. I hate to write on paper! In fact, my handwriting (to me) is chicken scratch. Thanks again for being patient with me (and supportive). Virginia: Seeing you where I happen to be warms my heart every time. You are such a great fan! librarypat: Thank you so much for putting Raeliksen on your TBR list. I am so grateful! And on the "neat" office, well...I try to be organized. Sometimes I fail outright. Tonya: Gawsh (in my best Goofie voice)....you are too sweet!